CHANCE® helical piles are the original steel helical solution for the residential market. In 1912, Albert Bishop Chance was the first to utilize an earth anchor for remedial repair, effectively launching the helical pile industry. 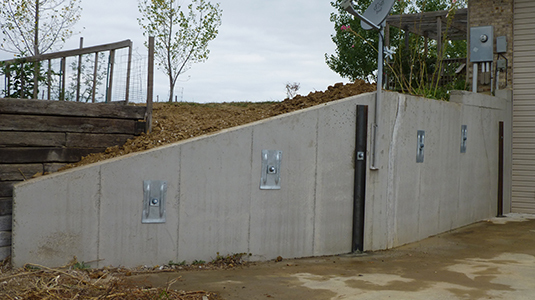 Today, CHANCE helical pile systems are used for foundation repair, new construction, basement wall repair, earth retention and storm remediation. 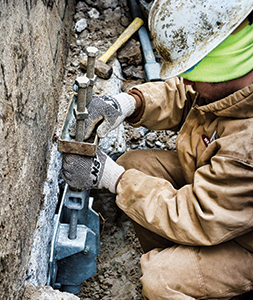 CHANCE brand products are versatile deep foundation systems that provide superior performance without the vibration, noise, and disturbance of alternative solutions. 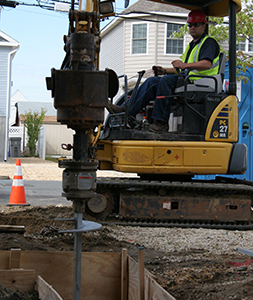 Helical piles install quickly and can be immediately loaded, which leads to cost savings and lowers labor and construction costs. Hubbell Power Systems, Inc. (HPS) is committed to manufacturing the highest quality products in the industry. Our nation-wide network of CHANCE Certified Installers completes a rigorous training program ensuring our products are installed to the highest standard. Our exclusive 30-Year Limited Transferable Product Warranty provides peace of mind that our foundation systems will be secure throughout changing soil conditions for decades to come.